Here’s another Court judgment on the infamous (or clarifying, depending on your perspective) Court ruling in Sturgeon. Last November, we reported on the ruling in the joined cases Nelson (C-581/10) and TUI Travel (C-629/10), in which the Court confirmed the judgment in Sturgeon. The Court held that Airline Passengers have the right to the fixed monetary compensation under Article 7(1) of Regulation 261/2004 (the Regulation) in case of a delay of three hours or more. This time, it’s about the question at which stage of the carriage the delay must occur. For the purpose of entitlement to compensation under Article 7(1), is the length of the delay in reaching the final destination alone determinant? Or does entitlement to compensation for such a delay additionally requires that the conditions set out in Article 6(1) of the regulation be met, that is to say, that the departure of the flight in question was already delayed beyond the limits set out in Article 6(1)? 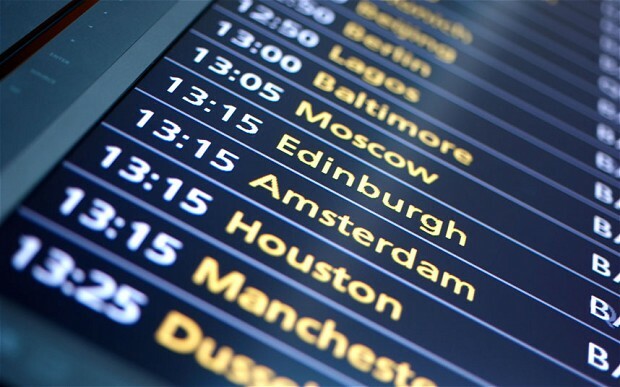 If not, for the purpose of determining whether there was a delay, in the case of a flight consisting of several stages, should reference be made to the individual stages or to the distance to the final destination? As a firm blow to airlines trying to dodge the Sturgeon decision, AG Bot’s opinion in the joined cases C-581/10 and C-629/10 has already been called a ‘Luxembourgian punch on the nose’ and ‘a kick in the Bot’. In his opinion, AG Bot essentially advises the Court to confirm its earlier Sturgeon decision (Cases C-402/07 and C-432/07). The cases concern the interpretation of Articles 5, 6 and 7 of Regulation 261/2004 on air passengers compensation. Although frequently named the ‘Denied-boarding’ Regulation, the Court ruled in Sturgeon that passengers whose flights are delayed may also rely on the right to compensation laid down in Article 7 where they suffer, on account of such flights, a loss of time equal to or in excess of three hours (paragraph 61 of Sturgeon). Not surprisingly, airlines have since argued that the ruling in Sturgeon is contrary to the principles of legal certainty and proportionality, and, moreover, that it is inconsistent with both the 2006 IATA ruling and the Montreal Convention for the Unification of Certain Rules for International Carriage by Air (ratified by the EC). To be fair, the wording of the Regulation does not directly provide for the compensation right to passengers whose flights are delayed. In that sense, as indeed the airlines argue, the Court has taken a bold step in Sturgeon and has maybe, in interpreting the Regulation beyond its literal wording, overstepped its powers. AG Bot, however, doesn’t see any reason for the Court to deviate from its approach in Sturgeon and states that nothing new which might call into question the interpretation that the Court gave in Sturgeon has been presented (point 39). The AG notes that the disputes in these cases show that air carriers refuse to apply that judgment and to compensate passengers finding themselves in such situations (i.e. situations of delay instead of cancellation or denied-boarding). The AG takes the view that Articles 5, 6 and 7 of the Regulation (as interpreted in Sturgeon) are compatible with the IATA ruling, with the Montreal Convention, with the principle of proportionality and with the principle of legal certainty (point 29-49 and 67). Meanwhile, the Attorney General (AG) at the Dutch Hoge Raad (Supreme Court of the Netherlands) has delivered his opinion (in Dutch) in several cases pending before the Supreme Court concerning compensation under Art. 7 for delayed flights. The opinion was delivered exactly four days before AG Bot’s opinion but follows the same pattern. The AG rejected all of the airlines’ arguments against the Sturgeon ruling..